Operated by: Tom and Sue Magocs Sound: FM radio. Fantastic Drive-In that is extremely clean and well-kept. Very cool neon marquee. 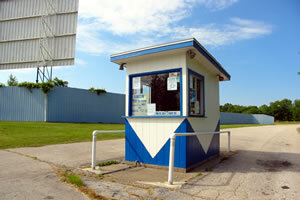 Named One of Ten Drive-In's Worth a Detour by both USA Today and The New York Times. The food is great. All of this is why the Capri gets regular visitors from all over the tri-state area. Operated by: The Theater Group Inc. Sound: FM radio and car speakers. 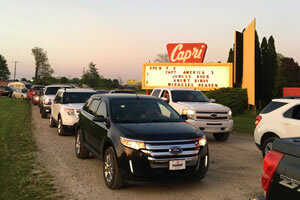 Another great Drive-In with a rich history. 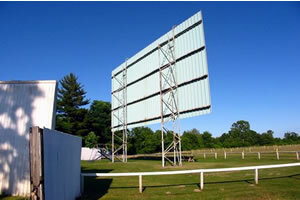 The original 1952 screen was burnt down in 1997 but was quickly replaced by the owner who keeps the place in excellent shape today. 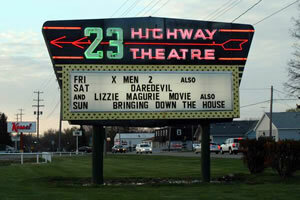 The classic marquee is certainly one of the coolest I have ever seen. Sound: FM radio and car speakers. One of the biggest in the country, open all year round. Charles Shafer is is and has been one of the premier exhibitors in Michigan. Operated by: M. Goyette & S. Kursinsky Sound: FM radio and car speakers. 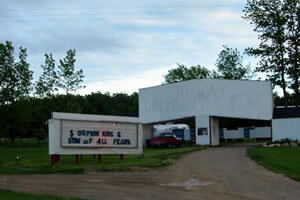 The oldest of Michigan's remaining Drive-in Theaters. Purchased by new owners in 1998 who have made a tremendous effort to restore it. The attendance has increased steadily as a result. I dropped in myself and thought the place was really cute - great pizza too! Nice to see a single screen classic like this doing well. Operated by: H. & L. Clark Sound: FM radio and car speakers. Another very cool Drive-In. Has a definite 1950's feel. 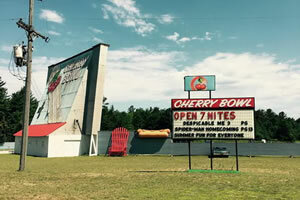 The Cherry Bowl has a putt-putt course, batting cages and a diner with great broasted chicken. There are also numerous special events throughout the season. Very clean and well-maintained. 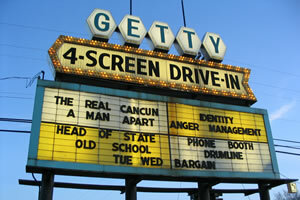 This Drive-In is actually quite beautiful - one of my favorite pics is of one of the screens here. There is a full playground which is classic. This cool Drive-In features a playground and a completely re-modeled snack bar. They also have carload pricing which is great! The food is good and the place is clean and well-kept. Operated by: Jack Loeks Theaters Sound: FM radio and car speakers. The massive main screen is a classic and there is a playground for the kids. 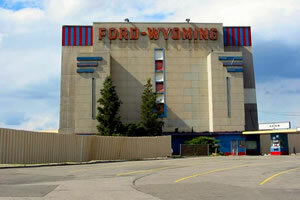 This Theater has been an important landmark in the area for many years. It was reportedly being sold but the place has lived on due to popular demand.